Luna Builds strives to surpass our clients highest expectations, achieved through our diverse set of skills and commitment to quality. Luna Builds roots come from our deep knowledge of masonry work that St. Louis was built on and known for around the world. Yet, Luna Builds is not just limited to masonry, as we also specialize in the creation of luxury outdoor living. We combine these passions to produce the utmost experience for all of our clients. Bringing together luxurious amenities and innovative design. 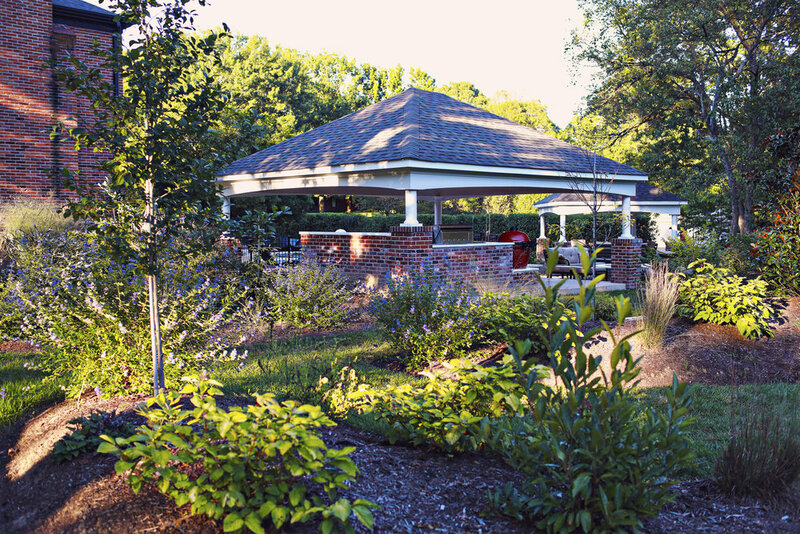 From an entire outdoor kitchen in Ladue, to a limestone walkway in Webster Groves, our craftsmen have created custom designs that will last a lifetime. 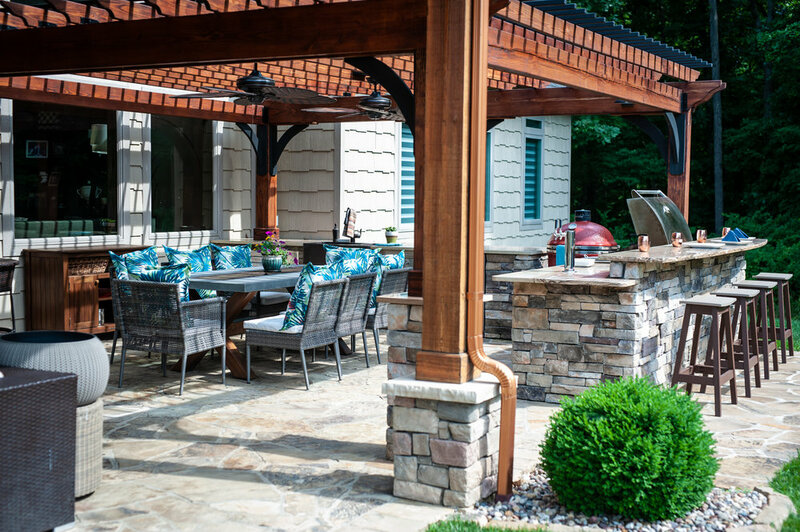 Working for St. Louis’ most prestigious homeowners, Luna raises property values and enhances living experiences through the improvement of outdoor living spaces and extraordinarily unique designs. Using only the best stainless steel appliances inside our precisely engineered stone and concrete structures, we design, engineer, and construct the most perfect outdoor living spaces for your enjoyment. Luna Builds brings all your favorite indoor amenities to your backyard, creating the perfect outdoor space for entertaining guests or relaxing with those closest to you. The options for outdoor customization are truly endless; environmental designs to compliment your pool, installing wood- or gas-driven fire pits for keeping warm on the coolest of nights, implementing Mugnaini Pizza Ovens (the world's premier residential and commercial wood fired pizza ovens), and sophisticated wood burning ovens wrapped in limestone. It's not just a facade, it's where it all begins. From new residential construction to home renovation, our craftsmen create value in designs that last a lifetime. Furthermore, our ability to match your homes materials, all the way down to the mortar color, is unmatched. 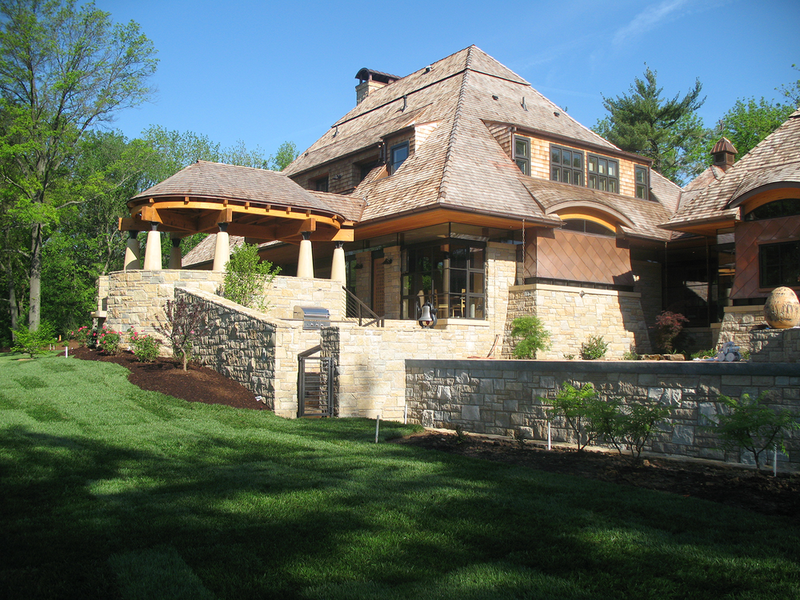 Luna Builds has worked on St. louis’ most high end properties, and understands the higher level of expectation that our clients have when entering into a design project with our company. Fortunately, Luna Builds remains a step ahead of the competition, and will not only “wow” you with our ideas and business practices, but our designs will “wow” guests of your home or business for years to come. Beautifying and expanding your outdoor entertainment area. Enhancing your home can be achieved in many fashions, and Luna Builds can help you find the perfectly original look for your patio area. Whether you prefer stone, brick, or concrete surfaces, Luna has the ingenuity to design something beautiful that will last you a lifetime. Something as simple as adding a brick garden wall or walkway can add tremendous value to your home, not to mention that of flagstone patios and pool decks.